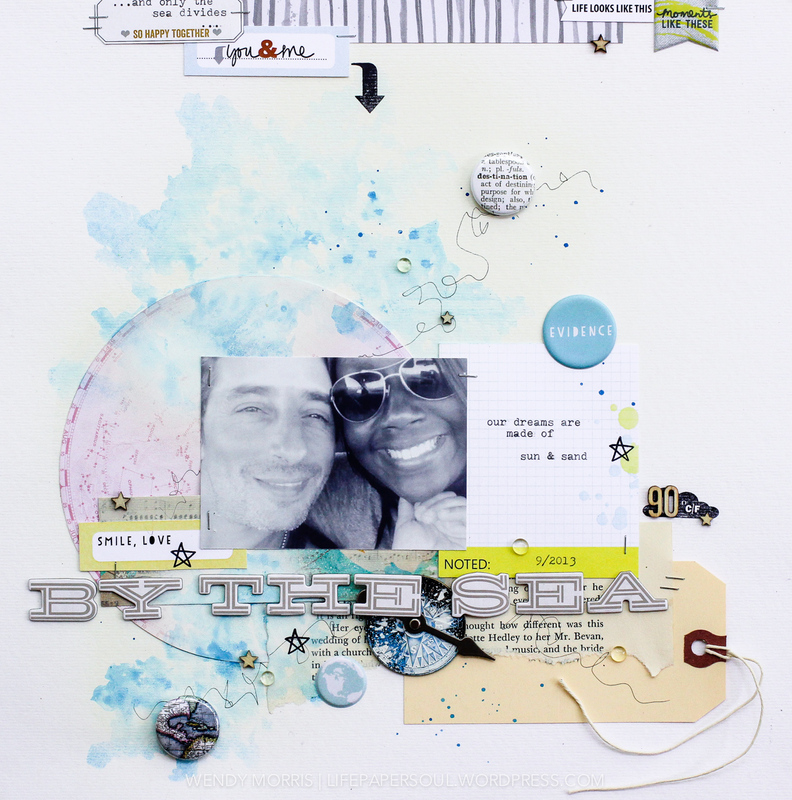 Wendy here to share up my inspiration for you today in a 12x12 layout titled, 'By the Sea'. I have SO much inspiration packed into this layout that 'tells the story' of the greatest love of my life, Enzo, found across a few couple of continents + Atlantic Ocean...we both find fascination and inspiration from being at the beach (and it's emphasized because I live on the Gulf of Alabama with some of the world's best beaches along the coast of Alabama & Florida). He has the greatest passion for fishing and he is quite the fisherman, seriously. So with this inspiration, Eve has SO many beautiful embellishments in the Evalicious shop to bring to life my inspiration in my layout below. 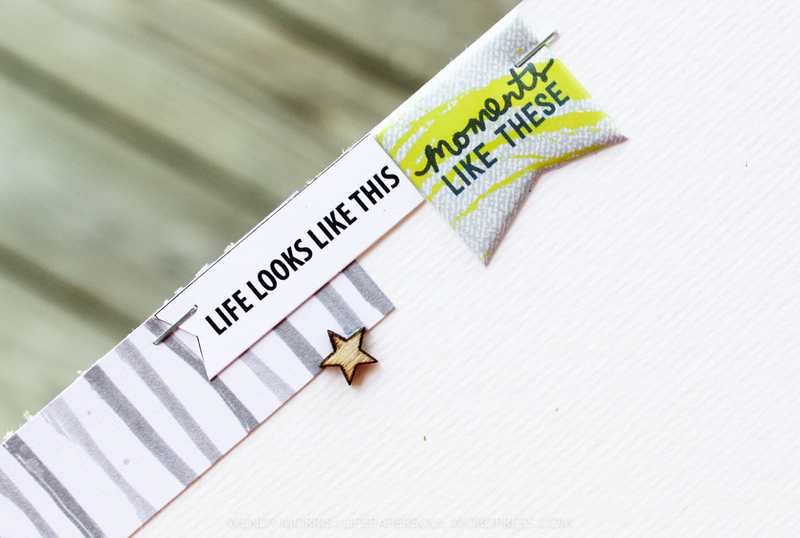 I used the SnipSnip Labels | Just Us, Love You Lots, Escape at the top of my layout along with a bit of journaling on my typewriter on one of the tags. 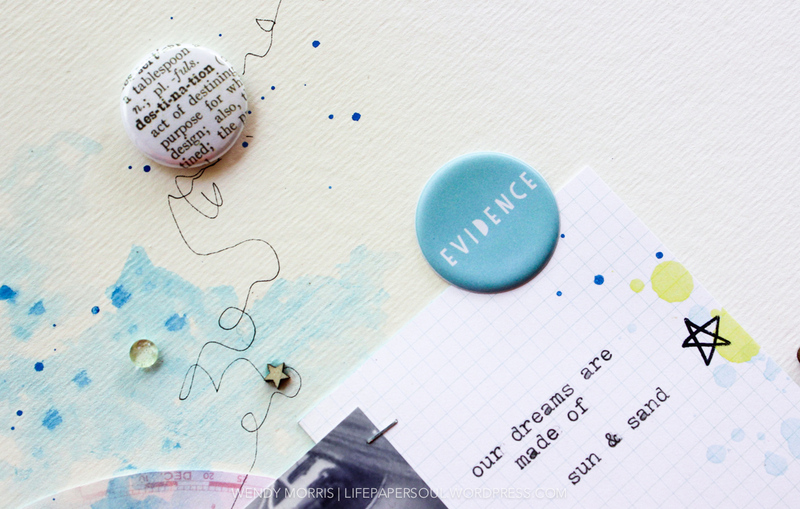 I love the random play along with scraps of paper and also with the Puffy Stickers | Just Us Miscellany V1 and the little arrow from Stamps | Fly Away. 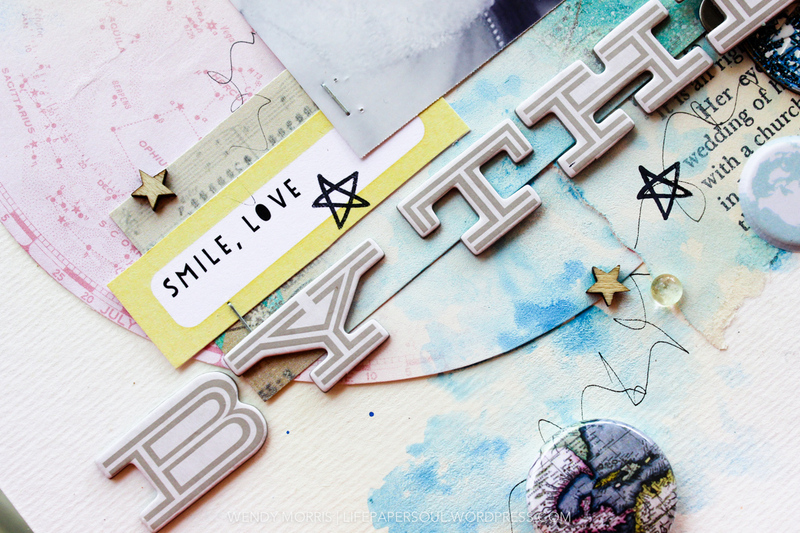 Many times I like to bring a touch of my mixed media world into my layout projects. On this layout, I used a blue watercolor effect to draw into my title, 'By the Sea'. I love the end result! 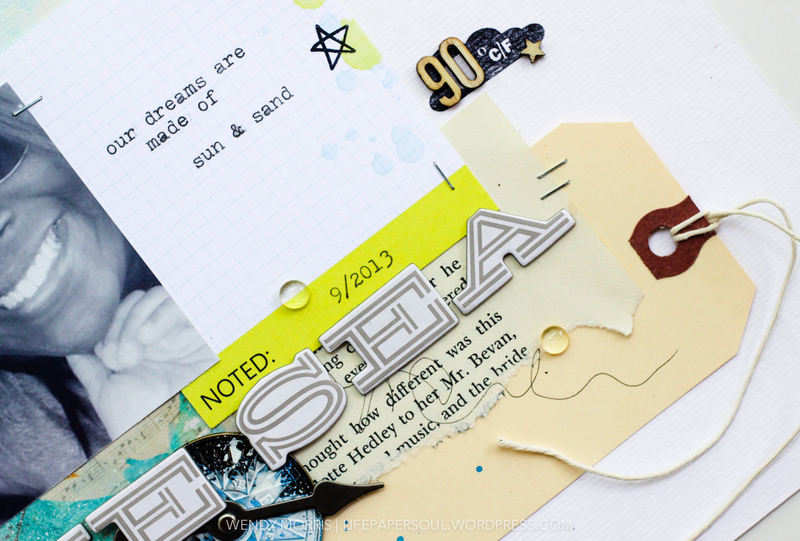 Then, I added in splashes of random play with the Large Tags | Just Us Snip Snip and typewriter journaling 'our dreams are made of sun & sand'. The yellow & blue tones of watercolor splashes were already on the large tag and blended well with my mixed media watercoloring. 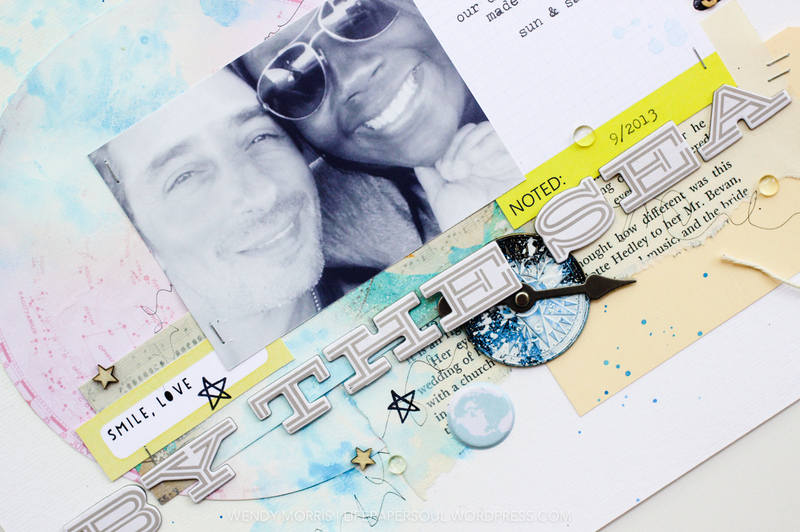 To the side of the tag, I added a bit of stamping with the Stamps | Road Trip with the little cloud temp stamp. 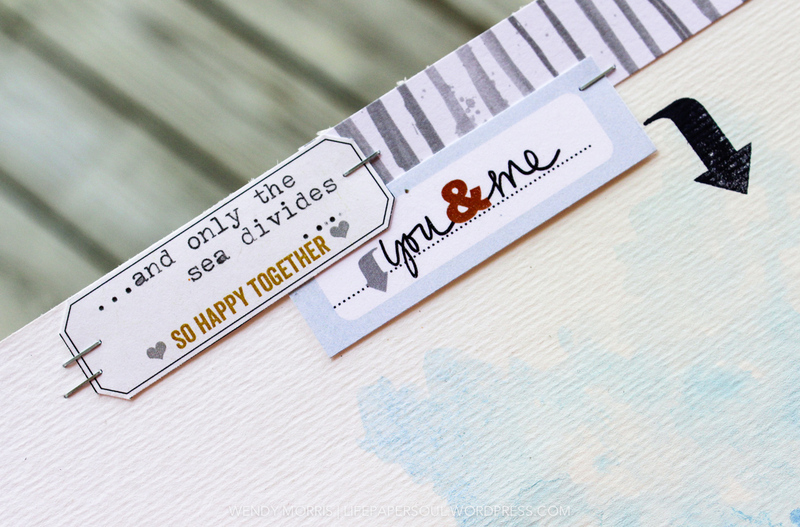 Love that cute stamp! It stays quite warm (and super humid) where I live, so I added in a bit of the 'normal' summer temps in wood veneers. Also, the astrology circle paper is hand cut from an 6x6 piece of paper in my stash. 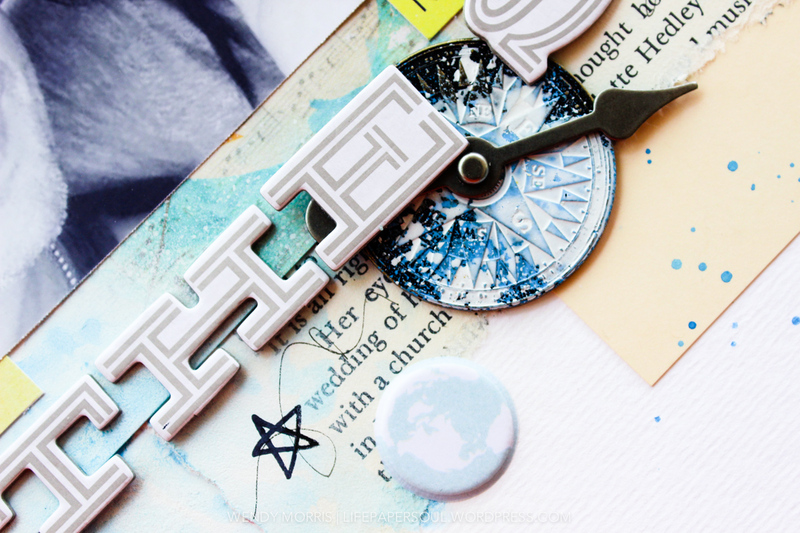 I added in a bit of a vintage book page along, a paper scrap, and a manila tag from my stash. 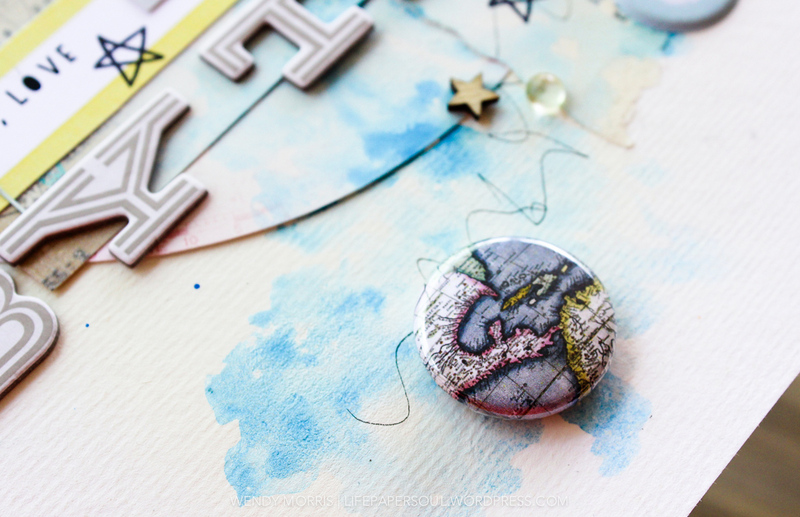 On the compass metal work, I made some mixed media play with Distress Paints. Then, I added in some random bits and flow of pen lines along with Badge Buttons | Vintage Maps and Puffy Stickers | Hello 2014 Miscellany V2, Itinerary V1 . 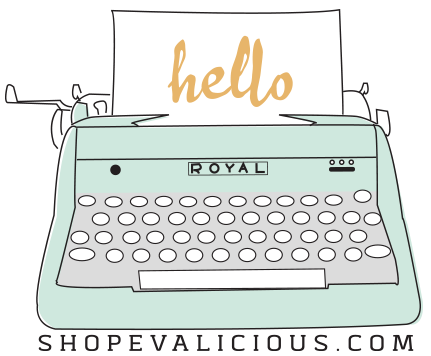 Hope I inspired you today! The full supply list will be posted up later today over on my blog. So beautiful! I can feel the love coming off your page.